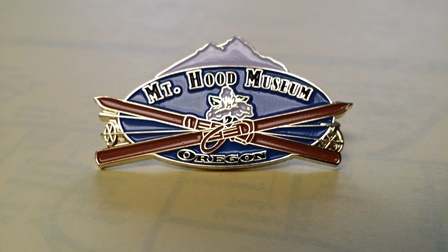 Mt Hood Museum, Oregon pin features crossed skis foreground with mountain behind. Colored enamel on metal, 1 1/4 wide x 3/4 in. tall.